Gnome #10 is a gnome-ja. Gnome #8, the seafaring gnome, was named, "Mizzenblack" by Allegra, and John Waverly described him as, "The blood-thirstiest pirate cap'n t'ever sail the seven ponds." Gnome #9, our armored lady-gnome was named, "Heimtraud" by Jessica Day George and Opaleyz gave the great detail, "Defender of small animals everywhere." Phew--these were tough. There were SO many fantastic names and details. The judges and I had to hold a very long conference to choose the final winners. Only three more gnomes remain, the last will be posted Friday. Tighten your Gnaming caps! A breath of deadly wind has no name––thus, this gnome has no name. Ryu. He came to the suburbs for vengeance. Or Dingben. That's my verification word and I rather like it. Master of Taijutsu, Bojutsu, Intonjutsu, and holds the current high-score in Guitar Hero. He is "red-y" for anything. His true identity? No one knows. He's not one to talk. Grarg. It's the sound his enemies make when he takes them down. Darn. This is so much fun. I love gnomes! Manuel- but you can call him AAAAAAAAAAAAAGH! The gnome you can't tell if he upside-down or right-side up.... until it's too late. Stealthy as a butterfly and lover of all things red. Gerald. 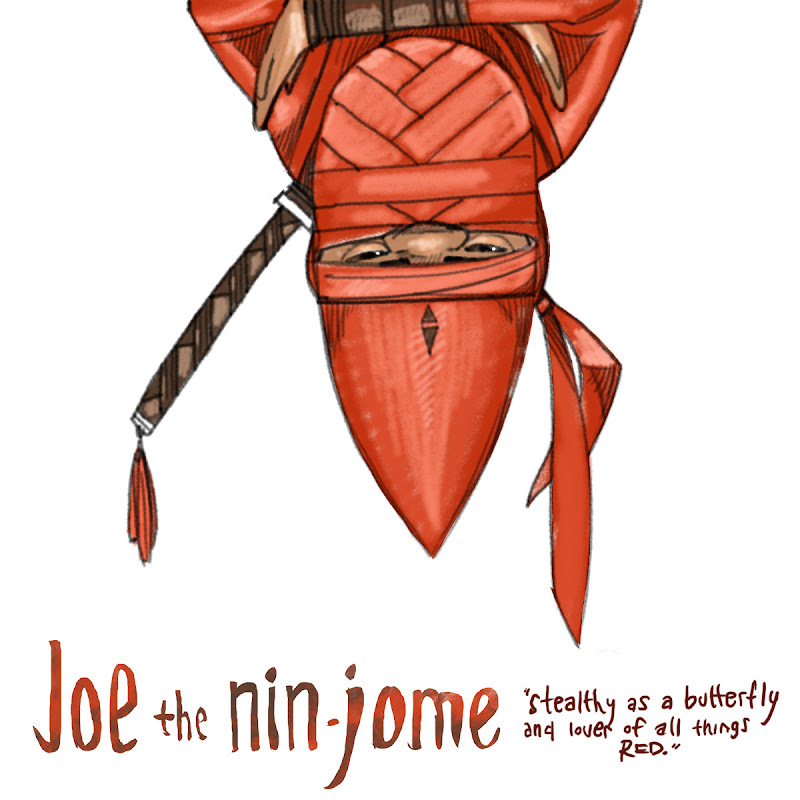 He was born an ordinary gnome but taken from his family and secretly trained in the arts of the deadly gnome-ja. He chose to keep his original name. Hehe - these are awesome! Shhhh. Silent leader of the upside-down frown rebellion.